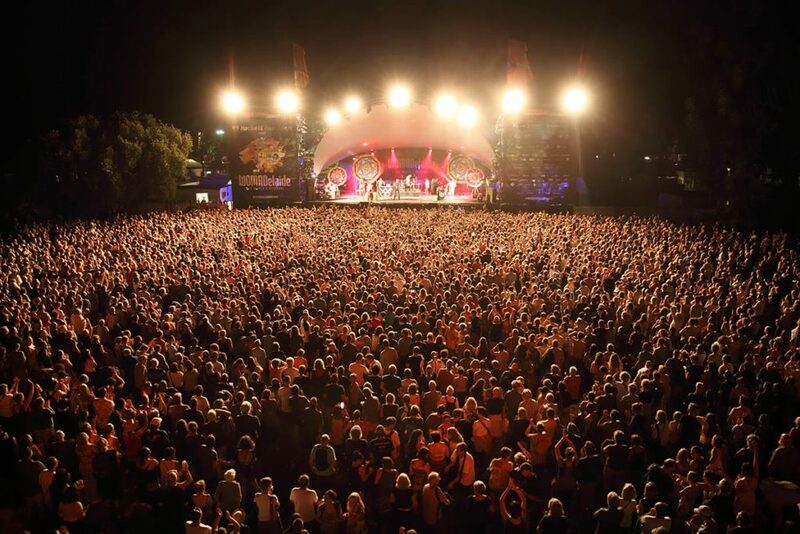 Where does one start with the amazingness (yes, it is worth creating new words) that is WOMADelaide? The festival has created an amazing World Of Music, Arts and Dance set in the Adelaide Botanic Gardens (March 10-13). To boot, this year WOMADelaide is turning 25! Duncan has been to a number of WOMADs in its native England since 1992, while his co-contributing plus one Cara tested the Australian event last year. After love at first WOMAD, Cara will return and so our worlds come together for us to explore this most global of events. With so much to choose from, we have compiled a guide with some of our top picks. This year’s festival has the usual international smorgasbord of talent ranging alphabetically from A Guy Called Gerald to Xylouris White, geographically from Austria, Argentina and Honduras to Guadeloupe, Mali and Jamaica and musically from rap to orchestral. Acts are not only confined to the stages, some interactive acts will come and find you! Look out for roving performers (Cara’s favourite). With such cosmopolitan artists afoot, the foodie in you will delight in hearing that many of the musicians themselves will be doing cooking demonstrations. All this activity and splendour is packed into less than four days so start listening to artists and scouring the lineup. Wait a minute, that’s our job. The Waifs (Australia) – We are so happy to see these guys back to herald their own 25-year anniversary. Yes they have been playing for 25 years. It feels too long between drinks, and some familiar folk tunes will ease us into Saturday evening. There is still more to come than their London Still. L-Fresh The Lion (Australia) – Cara was able to catch up with this inspirational lawyer, activist, Sikh rapper and all round amazing guy. L-Fresh has had the festival on his bucket list for a while after ticking off Woodford Folk Festival. This guy has so much passion and exudes authenticity. At WOMAD, he and his collective will be performing songs from his first two albums and ‘maybe’ some new material. 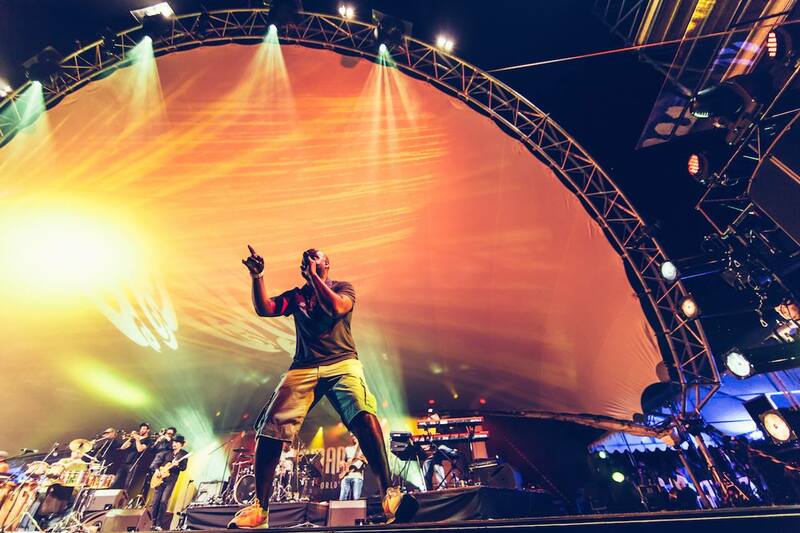 For L-Fresh, WOMAD is also a feasting ground for new talent, as well as seeing Archie Roach, because ‘his voice cuts through and hits you in the heart’. Mercedes Peón (Spain) – This shaven headed ‘musical hurricane’ has been revitalising traditional songs from her native Galicia with seemingly boundless energy. A multi-instrumentalist (including bagpipes), she inspires her audiences to boogie to her contemporary adaptations of old songs. Get ready to move your body. Oki Dub Ainu Band (Japan)- Oki Kano plays a long forgotten instrument called the Tonkori, which is played in northern Japan and Sakhalin. Sakhalin is a large Russian island. Are you intrigued yet? Oki Kano is giving the instrument a new lease on life with songs including ‘Sakhalin Rock’. Be filled with wonder and have your ears experience something unique, this is the magic that we love WOMAD for. The Specials (U.K.) – Duncan’s favourite, these ska revival pioneers have been around for almost as long as Duncan himself, and were at the forefront of the punk and reggae movement that we know today. Familiar and iconic sounds make it impossible not to raise you’re your knees and skank. As The Specials say ‘Stop your messing around’ and get your groove on. Parov Stelar (Austria) – These fine purveyors of Electro Swing have been touring the world and crafting their beats for a decade. With tunes such as ‘Booty Swing’, ‘Clap Your Hands’ and ‘The Speed Demon’ you know you’re in for fun. Cara is dancing already. We guarantee you that your elbows will be out as you find yourselves swinging away to these tunes – just don’t take anyone out with your enthusiasm. Bap ba bab ba bada ba! Taste The World – Truly one of WOMADelaide’s ‘festival delights’ this is where you get up close and personal as musicians swap their instruments for cooking utensils and get busy in the kitchen. This year’s Adelaide’s own chef, Poh, is creating culinary masterpieces for lunch and dinner in the Taste The World Restaurant, called Jamface. With the colour and aroma that will compliment WOMADelaide, Malaysian inspired Poh is a fitting choice for the festivals ‘chef in residence’. WOMADe – Yes, it has shopping! A fine collection of Adelaide’s designers has their own stage at the festival. From beautiful silk scarves, jewelry, bags and skincare, the selection wonderfully compliments the talent on offer. Shop for treasures with amazing musical accompaniment! The Planet Talks – An astounding range of speakers that will inspire every one of us. Look out for Norway’s Karen O’Brien, whose focus is on climate change, sustainability and collective change. Knighted Cofounder of the UK’s famous Eden Project, Sir Tim Smit is also not to be missed. On the home grown front Vanessa Morrish is redefining the eco approach with her Unfucker movement. Zaachariaha Fielding will be share how he brought his Anangu Pitjantjatjara Yankunytjatjara language and culture to the wider public audience and won a Young Achievers Award while doing so. Also, check out presenters that really are ‘out of this world’, like Carmel Johnston a real life (simulated) Mars crew commander. Around the Park – Amongst the roving and interactive acts around the park, you can expect to find Cie Ekhart’s safari hunters riding their dodos, light bulb headed artists Sans Compagnie Fixe and France’s pompous equestrian Olympians, Les Goulus, the hilarious all providing entertainment that you may not be able to get away from! 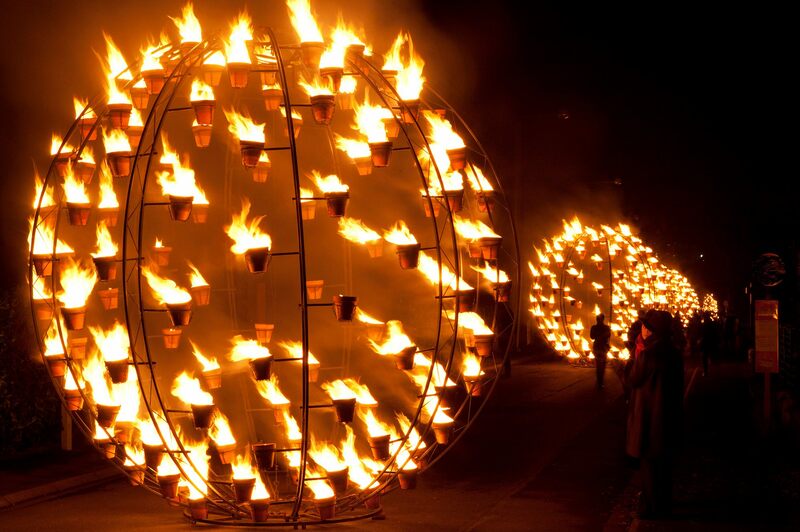 Workshops – Many of the artists at WOMAD will teach you some of their craft. There are music workshops with South Africa’s The Soil, Colombia’s La Mambanegra and South Korea’s Tago. Dance workshops are also on offer with Indonesia’s Ekosdance Company and Australia’s Alma Flamenca. Sound too energetic? Then go for some Yoga with Toni Childs? With literally hundreds of acts, workshops, and talks with which to immerse yourself, the festival’s very own Healing Village may be the place to stop, unwind, revitalise and consider the next amazing things to experience! Everything is covered here, it seems. Over four days you will taste, in every sense, the finest of the world’s music, arts and dance and remember the experience for a lifetime. We look forward to seeing you in the Gardens. Duncan was the most illegible bachelor in town, but times have changed, although he is still a purveyor of Melbourne’s surprising, quirky, and cultural events. Cara has long hair, long legs and a long association with all things arty, crafty, colourful and fun! 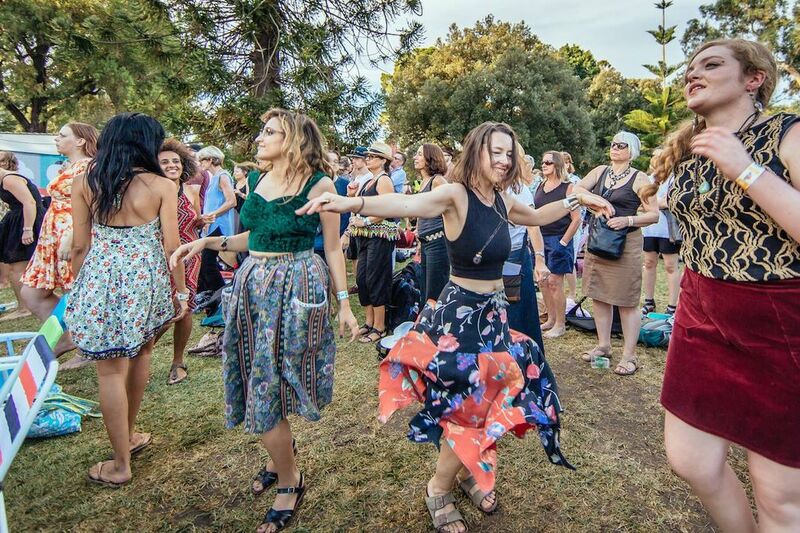 WOMADelaide runs from 10-13 March at the Botanical Gardens, Adelaide. With single day/night or multi day passes you can purchase tickets now.